SOLD FULL ASKING PRICE WITH MULTIPLE OFFERS! 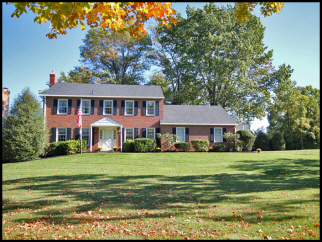 Classic all-brick center hall colonial situated on lovely corner lot in the sought-after Conestoga-Woodlea neighborhood. One owner in 40 years: lovingly and meticulously maintained. Enjoy the pleasures of "small-town" living: walk to the library, commuter train, shops and restaurants in Berwyn, TE Middle School and top-ranked Conestoga High School!